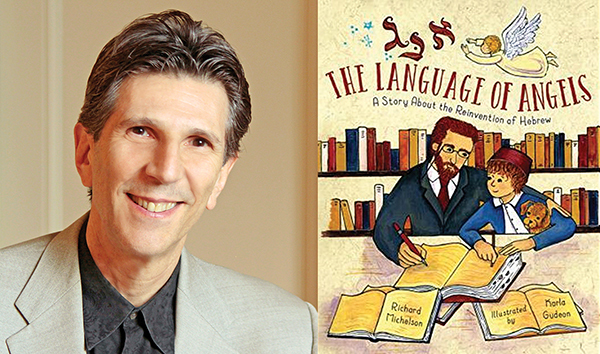 Richard Michelson and his award-winning book, “The Language of Angels"
FEBRUARY 22, 2018 – Fifteen years may be a long time for a spark of an idea to blossom into a children’s book. But for Northampton writer Richard Michelson, the timing proved just right. On March 6, Michelson, a one-time poet laureate of Northampton and multi-award winning author of some 20 children’s books – including many on Jewish subjects – will receive the coveted National Jewish Book Award in the category of children’s literature for “The Language of Angels: A Story About the Reinvention of Hebrew,” illustrated by Karla Gudeon, published last year by Watertown-based Charlesbridge Publishing. The award was given by the Jewish Book Council. The book is based on the life of Eliezer Ben-Yehuda, the father of modern Hebrew. The story opens in the late 1880s, in what was then Palestine and is told through the eyes of Ben-Zion, the son of the eccentric character who insists that the young Ben-Zion learn only Hebrew, the ancient language that, at the time, was considered holy and used almost only for religious observance and prayer. “You will be the first child in more than two thousand years who will grow up speaking only the beauty of our ancient tongue,” the father tells his son in the story. The young Ben-Zion is shunned by the local kids who speak Yiddish and the many other languages common in pre-state Israel. Over time, father and son join forces in inventing new Hebrew words that Ben-Zion teaches his peers. Under Michelson’s masterful pen and his signature simple prose, young readers discover how Ben-Yehuda, who wrote the first Hebrew dictionary, invented modern Hebrew words for ice-cream (glida) and bicycle (offanyim). Embellished with Gudeon’s brightly hued and lively folk-like illustrations, the story of a language comes to life as a playful word-adventure. Hebrew letters and words float across many of the pages. Michelson, owner of R. Michelson Galleries in Northampton, represents the artist’s work, along with many other prominent children’s illustrators. “I knew Karla’s illustrations would make the story,” Michelson said in a phone interview with the Journal, adding that the colorful, fun illustrations ground a story that can be hard for younger children to grasp. Michelson first heard of Ben-Yehuda more than 15 years ago from his friend Neil Waldman, an artist and children’s book writer and illustrator for whom the book is dedicated. They were deep in conversation about Yiddish, the subject of their 2002 children’s book, “Too Young for Yiddish.” Waldman, who had considered writing a book on Ben-Yehuda, gifted the story idea to Michelson. As a lover of words and language, Michelson was intrigued. “Kids think of language as given from on high,” Michelson observed. He saw the potential for a story that would excite kids about language as a living thing that is always growing, he said. But in digging into Ben-Yehuda’s life and achievement, he realized it didn’t easily translate into a children’s book. For one thing, Ben-Yehuda used his son to advance his own vision, Michelson said. He wasn’t well-liked and some even thought he was crazy, Michelson discovered. He put the idea aside. Trekkie culture for his book, “Fascinating,” about the life of Leonard Nimoy, the Boston-born Jewish actor-director who rose to fame and cult-status playing the Vulcan scientist Mr. Spock in the Star Trek television and film series. Michelson features Nimoy’s fine art photography at his gallery, and the two collaborated on exhibits of Nimoy’s photographs. Nimoy became a mentor to Michelson and over many decades, the two became close friends. At the Star Trek convention, Michelson met a father and his young son who was being taught to speak in Klingon – the fully constructed imaginary Vulcan-culture language created for Star Trek.  “The kid wasn’t speaking English,” Michelson recalled. He asked the father if his son was the first native Klingon-speaker in the US. “Just like that, boom, this story came flooding back. At the moment I knew my way in,” to the Ben-Yehuda story, by telling it from the point of view of the young son, Michelson said. From that point, the writing flowed. It was made easier knowing that Ben-Yehuda’s son, Ben-Zion, had formed a strong relationship with his father and wrote a biography about him. In an afterword, readers learn more about the real lives of both Ben-Yehuda and Ben-Zion, who changed his name to Itamar Ben-Avi, and became a champion of the international language of Esperanto.